Scuba diving at Havelock Island for beginners can prove to be a more enjoyable experience than expected. Over the past few years, the number of first time divers to this region has sky rocketed. Scuba diving at Havelock Island for beginners can seem to be scary at first. But it is not as dangerous than you imagine it to be. If you are new to scuba diving or a non-swimmer, do not worry. You are not alone. There are a lot of travelers just like you. Havelock Island is one of the most visited travel destinations in Andaman Islands. It is located in South Andaman and is easily accessible from the capital city of Port Blair. The island is famous for adventure sports by the sea. When I first visited Havelock Island, I was really fearful of going deep into the waters. But once I gave diving a shot, it turned out to be more fun than anticipated. I confronted my fear and came back victorious. I hope that by the means of my current blog, I am able to help you let go off your fear of scuba diving as well. As a traveler, each time you will make an effort to step out of your comfort zone, it will come across as scary. Now this is normal. In fact if you don’t feel afraid, that surely would be abnormal. However, do not ever allow to give in to that fear. Remember that what you imagine in your head is always much bigger than reality. Therefore, stand up for yourself and try something new. You will emerge victorious. When it comes to scuba diving at Havelock Island for beginners, be assured that you are in trustworthy hands. The diving guides are extremely helpful. They will not only introduce you to the activity but will also prep you up for your first ever experience. 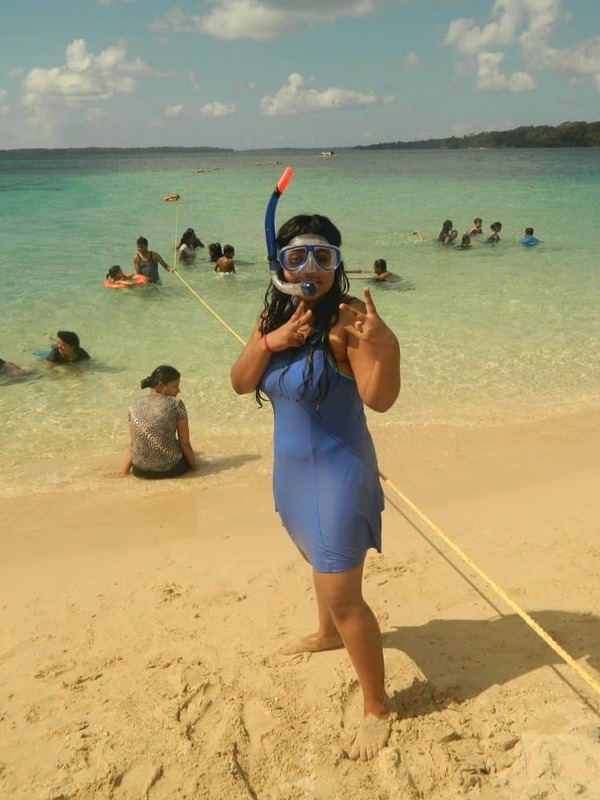 This is me at the Barefoot Scuba Centre at Havelock Island thinking whether I should go for scuba diving or not. A sense of panic prevailed inside me. It kept telling me not to do it. But I convinced myself to go for it and find out how good or bad it goes. After taking this picture, I signed the medical form that all divers have to sign and went ahead with my decision. 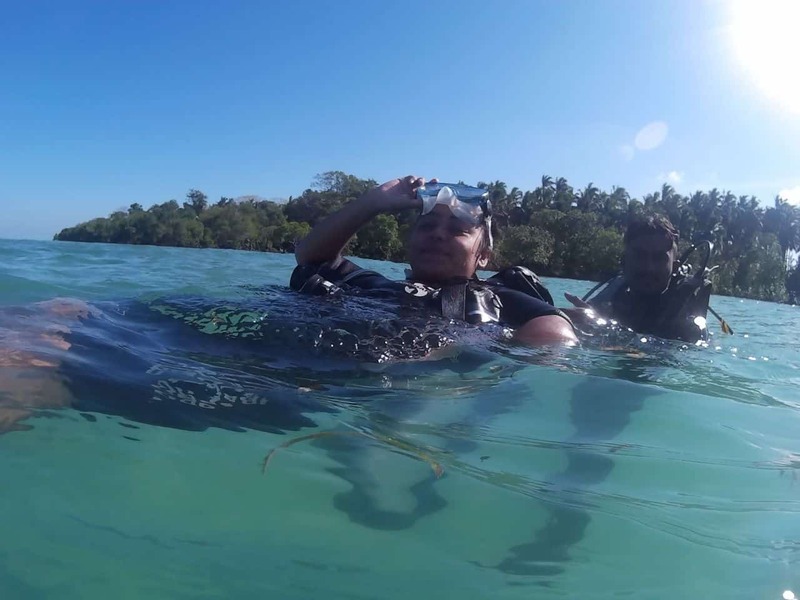 Before I delve deep into the details of scuba diving at Havelock Island for beginners, I would like address the questions that are common to most first time divers. I had similar questions before I experienced my first dive under water. So let me help you with them. What exactly is scuba diving? Scuba diving is basically an underwater activity for individuals using a special breathing apparatus. This apparatus is known as SCUBA. It stands for Self Contained Underwater Breathing Apparatus. It comprises of compressed air that allows you to stay under water for long periods of time. Is scuba diving dangerous for beginners? It might appear dangerous in your head but it is simpler in actuality. Just make sure you follow all the safety rules and you are good to go. Can anyone learn to dive in Islands in and around Andamans? Yes, anybody can learn to dive. Children as young as 10 years of age are legally allowed to dive. All you need to do is establish a minimum standard of fitness and follow instructions. Is there a chance that I feel suffocated and claustrophobic? Yes you can feel both suffocated and claustrophobic. However, that is normal for a beginner. Your instructor will always stay close to you. So all you need to do is provide him with a signal so that he/she takes you above on the surface. Will there a way for me to communicate underwater with my instructor? Yes you totally can communicate under water. In fact, as a beginner one of the first things you will learn is how to make underwater signals before your dive begins. Will my ears hurt underwater ? Before you take your first ever dive, you will be taught the technique of equalization. It will help you in protecting your ears. I insist that a day before you go scuba diving, try to clear your ears every 60 minutes. This will help your ear canal get accustomed to the possible changes later. Now this isn’t any scientific technique. Just a suggestion from my end. It helped me when I first dived. Do I need a certification before I can scuba dive anywhere in Andaman Islands ? 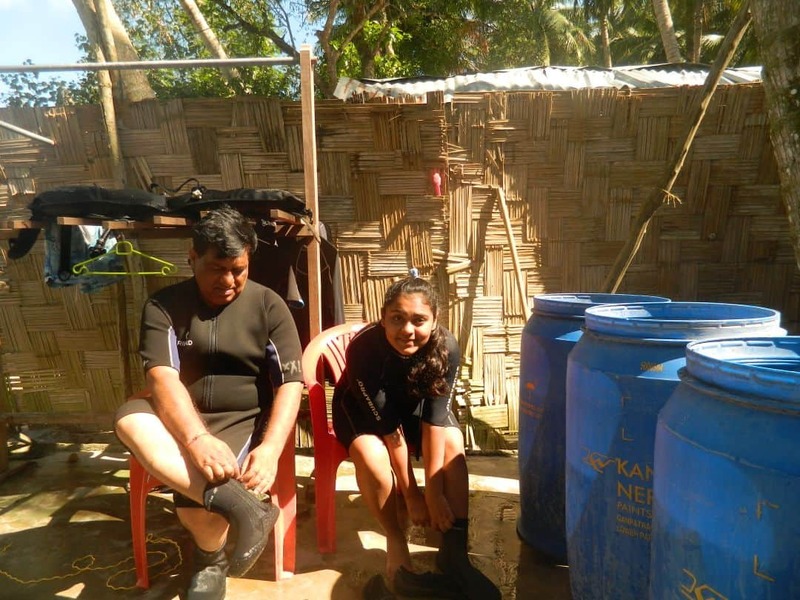 No you don’t need a certification to dive in shallow waters of the Andamans along with your instructor. However, your instructor will surely need a certification. If you want to pursue diving again and again at various other places, I highly insist that you go for a long term training course. It will really help you. How deep can I go under water during my first ever dive ? In your first dive, you will go up to 7 to 12 meters under water. You can go deeper but that depends on your comfort level. Can I do Scuba Diving even if I don’t know how to swim ? Yes you can absolutely go for scuba diving even if you don’t know how to swim. In fact, even the best of swimmers will be instructed to not swim once they dive in. Reason being that you are under water and do not need to swim beneath. You need to stay still. If I am a woman, will it possible for me to dive during my periods? Can I go scuba diving if I’m fat ? If you are within 10% of your normal body weight, you can go scuba diving. It doesn’t matter whether you are fat or not. However, if you are obese, try losing some extra kilos and then go diving. Else, you will put yourself at risk of a cardiac arrest under water. What is the basic equipment needed for scuba diving ? You will most certainly need a snorkel, a mask, wet suit, fins, Buoyancy control device, oxygen cylinder, pressure gauze and regulator. Do I need to carry my own scuba equipment? No. You will be provided the equipment at the centre you choose for going scuba diving. What are the best sites to scuba dive in Andamans ? Havelock Island, Neil Island, North Bay and Port Blair. Is Havelock Island the best place to scuba dive for beginners ? No. Havelock Island surely is a brilliant place to go scuba diving. However, for beginners, North Bay is better. The reason for North Bay being better is the less amount of crowds there. Your instructors can give you more individual attention there. At Havelock Island, they do not have any extra time to spare because they are very busy catering to the large crowd. How much will scuba diving cost me ? Scuba diving will cost you around 1800 to 2500 INR at North Bay. At other places, including Havelock Island, it will cost you anywhere between 3200 to 4500 INR. Should I be worried about shark attacks ? No. There are no sharks in Andaman Islands. So you’re quite safe. Should I carry an underwater camera to take pictures ? No. Focus on your dive. Your instructors will click pictures and hand them over to you in a pen drive later. Once you are a professional, then you can surely take an under water camera with you. Any special tip for scuba diving for beginners at Andamans ? Yes. Please ensure that your instructor knows that it is your first time. Ask him/her to be patient with you. In fact, go for an instructor who is patient. Your confidence will be boosted many fold if your instructor is cooperative. You need all the confidence under water more than anything else. There are two major things that are required for any person who wishes to do scuba diving. This is the primary step in which the person is required to fill information regarding any medical condition that one has before going underwater. Moreover, pregnant females, people who have blood pressure problems and visitors who have availed any flight within 48 hours of their stay on ground are advised not to go for any diving activity. However, after 40-48 hours, any medically fit person is allowed all kinds of water sport activities. It comprises of a set of equipment that majorly includes the diving suit, flipper boots, an oxygen cylinder kit, a belt of weights, face mask, mouth pipe, a regulator, pressure gauze and a buoyancy control device. Having all these with you can make you good to go for diving. As a newbie to diving, I knew almost nothing about scuba diving. Hence, I was worried and also somewhat embarrassed. After all, everybody else waiting for their turns to dive had a prior experience of scuba diving. I guess it is normal to be afraid when you step out of your comfort zone and try something new. Well, I tried letting go off that feeling but it kind of made me worse. The kind of diving experience first timers like me pursue is known as ‘Try Dive.’ This can be done from a boat or from the shore. Doing it from a boat is better. This is because you go out into the sea far away from the crowd. The rush is less so you can enjoy more, it being your first time. You can try diving from the shore as well. However, there will be a whole line of people waiting for their turn and you will get to spend less time under water. I tried focusing my attention in wearing my wet suit and putting on all the other required equipment. I kept thinking what is the worst that can happen. When you think about the worse, your misery gets relieved a little – for some time at least. My instructor made sure I had all the equipment on me. He helped me put it right. I was made to wear rubber boots. At this point I wondered about not wearing fins that all divers wear. It was later that I realized that those fins are worn on people like me by instructors themselves when we’re ready to jump inside water. The instructors will help you float by putting on those fins on you. My instructor sensed that I was uncomfortable. He rose up to the occasion and tried his best to make me feel comfortable. His cooperation and patience helped me a lot. However, there was still a part of me that was fearful. I tried listening to all the instructions carefully. I was taught some techniques like breathing with the regulator, communicating signals, dealing with hurting ears etc. It is important to learn the under water communication signals especially for situations like water entering your mask. 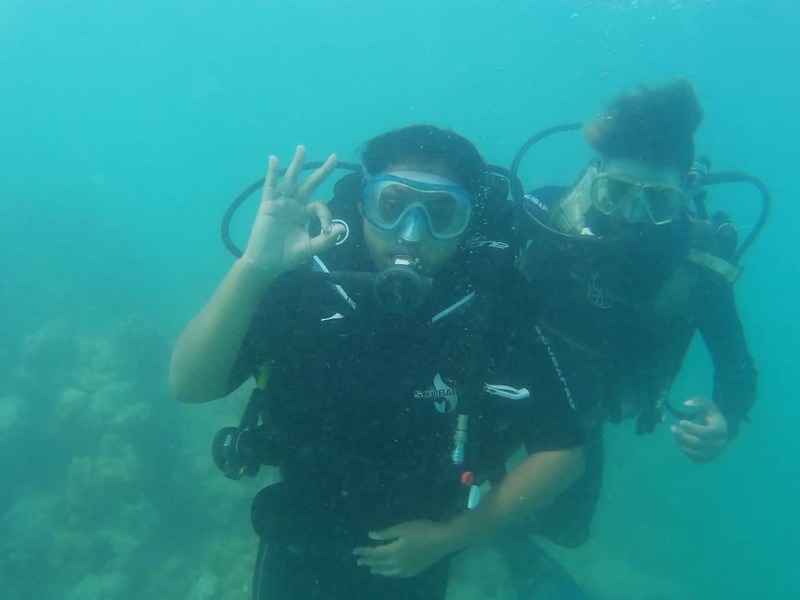 As a first time diver, I was taught basic scuba diving signals. These included the ‘OK’ signal, ‘not OK’ signal, ‘End the dive or move above water’ signal and ‘Less on air’ signal. These are damn important for under water communication. An oxygen cylinder was put on me then and also a weight harness was put around my waist. It must have weighed about 3 kgs. The harness made me uncomfortable because I wasn’t used to it. However, I had to put up a brave face to appear normal. After all, my instructor was trying his best to sooth me. Deep inside I was terrified. At some point I even thought of quitting. But a voice inside me made sure that I don’t quit. I was asked by the instructor to bite on my mouthpiece and to clasp it between my lips. That is when I realized it was time to dive in finally. However, it was just a training session. It lasted about 30 minutes. This session was important for people like me to get accustomed. Now it was time to dive in water. O boy! My heart was beating as if I was being chased by a ghost. The Adrenaline rush was so much that my face turned all red. My instructor asked me to breathe deeply as I took my first ever plunge under water. I somehow thought that I might get a little training before. But that is not what happened. This was the actual thing. It took me quite some time to just gather courage and go inside water. Finally I dove in and large bubbles came out of my mouth through the equipment. I immediately rose above the surface thinking that something was wrong. But everything was just fine and my instructor literally pushed me inside this time so as to fully submerge me. I heart was pounding fast but I thought to myself, “you have got to calm down.” So I did calm down. I was wearing an oxygen cylinder and all the gear. Therefore, the only harm I could do to myself was panic. Henceforth, I made sure that I do not panic and just moved with the flow of things. I struggled hard to not breathe through my nose. But I knew that would just not be possible. So, I tried my best to breathe to my mouth. However, this took me time and I rose up again above surface. At this point my instructor again pushed me inside. This diving in and re-surfacing up happened around 8 times in my case. But somehow it helped me acclimatize. I decided that this time I won’t surface up without completing my trip under water. I dived in again and took the leap to venture out into unknown territory. Life under sea is starkly different from ours. I took deeper breaths to my mouth and I was glad to realize that it is helping me a lot. I felt overwhelmed that I made it and survived about 2 minutes under water on my own. It felt like a personal victory. I need to mention here that my instructor held me throughout my trip. I took the plunge and discovered the world of the marine life. It felt as if I was in an aquarium. But only much larger. Marine life provides a panoramic and picturesque view of an extremely diversified groups of fishes, little organisms, colourful coral reefs, sunken ships and vehicles acting as an attraction to viewers. The clown fish commonly known as the ‘nemo’ fish is a widely found variety in the waters of Andaman sea. However, not everybody finds them. Well, I did. Sea horses, sting rays, mantis shrimps and small school of fishes swiftly paving their ways in between the corals are a visual delight. Sea cucumbers are a common sight in these waters and even the instructor allows you to squeeze this echinoderm. Red coloured blood disperses into water due to its open circuit of fluid circulation. The creatures under water were way more welcoming than I’d expected. In fact they were undisturbed by my presence in their home. Nature is lovely. Unlike the polluted cities we live in, the world under water is crystal clear. It felt as if a mirror was kept that reflected the depth. I could gaze so deep. Photography and videography were included in my package. Therefore, some amazing pictures were clicked by a professional diver. I loved them when I saw them. After spending about 40 minutes under water, I finally rose above and out into my world. I was ecstatic, not just because I overcame my fear but because life under sea was magnificent. I realized that the depth doesn’t matter underwater as long as you continuously blow air to neutralize the water pressure. That is all. Since I’ve pursued scuba diving at Havelock Island for beginners now, I want to share all of my learning with you. I understand what it means to stand against one’s inner fear and overcome it. I really wish that anyone reading my blog is able to overcome his/fear. So let me share a few tips as well as hacks. Learn to breathe through a scuba regulator with just your face under water. Do this before going for your first dive. Practice this in a pool or any place where the water is shallow. Learn to breathe properly. This means that you should know how to fully inhale and exhale air after every breath. Taking deep and proper breaths will prevents you from hyperventilating and thus feeling starved for air. Before diving under water, check that you have all the equipment on you. Ask your instructor to check it for you. Most times, he/she will check them but even then you should be aware. Objects under water will always appear closer to you than their actual distance. This is because of magnification. Don’t panic if you are not able to get the right sense of distance during your first time. During your first dive, you might have the urge to fight water and then flow. You don’t have to fight water at all. Just stay in one position and you will automatically flow. You will feel zero gravity under water. So flowing is super easy if you stay still. The more you move, the more oxygen will be consumed by you. So move little. Your fins will anyways help you move. So avoid any fast movements. Also, try being horizontal than vertical. Once under water, enjoy your trip and learn from your experience. But never disturb any organism. This includes small fish, plants and even corals. Avoid touching them at all costs. Sometimes, even the most silent looking creature will strike back or release poison. You will be taught some basic sign language using your hands. This will help you communicate with your instructor once you are under water. Learn those basic signs. Do not be ashamed if you’re taking time to learn. In fact keep practicing and only then get inside water. This is the key to enjoying scuba diving. Do not compare yourself to anyone else. Stay patient , follow instructions and give yourself time. That is all. Ever since the whooping expansion of water sports activities in this place, Havelock Island has seen quite a number of service providers when it comes to Scuba Diving. There is a diving service provider every 100 meters. Scuba diving at Havelock Island for beginners can be a comforting activity if you choose the correct provider. Out of many that claim to provide the best scuba diving experience to nature wanderers, there are few like Andaman Bubbles, Doongi Dives, Ocean Tribe and Barefoot Scuba that caters to world class standards of diving underwater. I did my first ever diving session with Barefoot Scuba and then later with Ocean Tribe. I highly recommend Ocean Tribe to all newbies like me. The instructors are very patient and are in love with diving themselves. They will pass on that love to you as well. I can vouch for it. It is important that you connect well with your instructors. The more patient they are with you, the more you will be able to let go off fear. Also, they should be open to questions. At Ocean Tribe, you will have access to some phenomenal experts who will guide you really well. They are not very popular as of now since they don’t market themselves much. Perhaps, they know that newbie divers like me will do all the marketing for them because they are damn good. The cost of trying out scuba diving varies from one service provider to another. Also, on the season. However, on an average, scuba diving will cost you anywhere between 3500 to 4500 INR at Havelock Island. If you choose to travel till the diving centre yourself, then the whole package will cost you less. This is because you will be charged only for scuba diving. But there are a lot of people who take packages where riding in a boat till the diving centre is also included. Now those packages cost them more. At diving centres in North Bay, scuba diving will cost you much less than Havelock Island. On an average, pursuing scuba diving at North Bay will cost you between 1800 to 2500 INR. Try not to book your slot through any travel agent. Do it on your own online or by going to the diving centre yourself. If you book via a agent, he will charge an additional 25% as commission. So it is best to save that money. Use this money to pursue more activities like snorkeling, sea walk, glass boat ride etc. Since you will be new at this, you should get as much guidance and personal attention as possible. Therefore, try opting for a morning slot. The crowd will be less that time and the water will be clearer. You will feel much more comfortable in the morning owing to less crowd than later in the afternoon or evening. The overall timings for scuba diving at Havelock Island range from 8 am till about 6 pm (during summer months) and 9 am till 5 pm (during winter months). It is said that January to May is when the sea is calmest. Hence, it makes for a good season to for scuba diving at Havelock Island for beginners. Is Havelock Island or Neil island Better for Scuba Diving ? Well, both have their fair set of advantages and disadvantages. Havlock Island surely has more diving sites as well as service providers. Neil Island on the other side has less diving centres but better and unexplored diving sites. Havlock Island is visited by hundreds of people. Hence the diving sites there witness a lot of rush. Neil Island on the other hand receives less tourist. So it can be a good option for first time divers. Take your call as to where should you go for scuba diving. It will depend on your priority. Water sport activities are the prime choice of recreation for tourists in the Andaman and Nicobar Islands. Havelock especially has been constantly conducting a number of water sports that one can enjoy. Go for snorkeling or jetsking or even for a sea walk. Snorkeling can be done in the famous Radhanagar Beach and also in Elephant Beach. The exciting sea walk, 10 metres deep on the sea bed can be done at the Elephant Beach. Elephant Beach can be reached through a motor boat (Rs.600-800 per person). The beach remains opened from 9:00 am to 2:00 pm or 3:00 pm. Banana rides and water scooters are common in both Radhanagar and Elephant beaches in Havelock. You can make use of either government ferries, private ferries or a sea plane in order to reach Havelock Island. Usually, more number of round trips (from Port Blair to Havelock and back to Port Blair) are made by government ferries as they mainly operate to facilitate transport of people (islanders) and goods (food, fuel, couriers, etc.) to sustain island living. One-way charges per person is 250 INR for chair class and 350-390 INR for seat class. The ferry takes around 2.5 hours to reach the island as it stops at Neil Island first and then changes its course towards Havelock taking a longer route. Private ferries have been recently put into function to aid tourists to have a comfortable and quick journey hence increasing tourist immigration. Makruzz and Green Ocean are two most popular private ferry services. The ferry leaves from Port Blair to Neil and Havelock Islands every 2-3 hours. 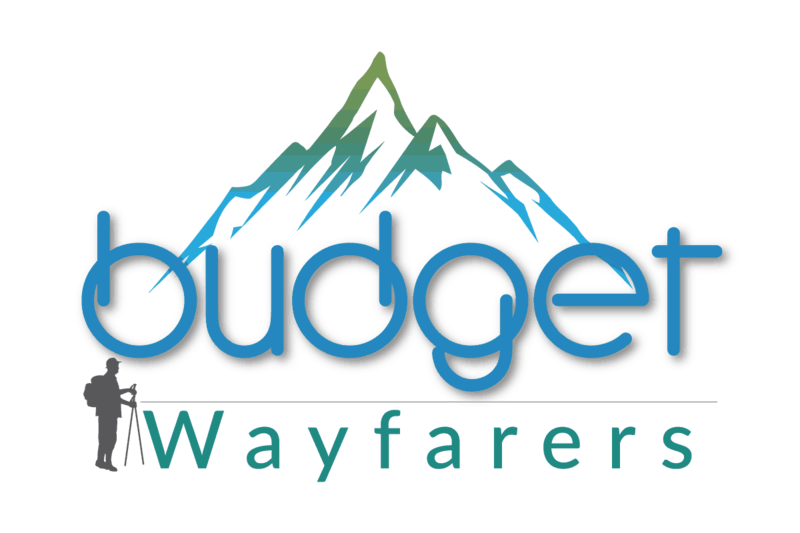 One-way fare per person varies from 1000-1200 INR depending upon the ferry booked. It takes approximately 1.5 hours (90 minutes) for private ferries to reach Havelock. An eight-seated sea plane offers a luxurious option for people who desire to reduce the travel time considerably. They will cost you a whopping 4000 to 4500 INR for just a single side ride. Personally, I wouldn’t go for sea planes. They are overrated. Once you’re done with scuba diving, there are a number of places to visit in and around Havelock Island. One can bask in the sun and relax in the beaches of Radhanagar Beach, Elephant Beach and the Kalapather Beach. Radhanagar Beach has been consistently rated as one of the best beaches in Asia. The Kalapather Beach hosts numerous snails, insects and scorpions that dwell in its sands. Elephant Beach is a decent place for snorkeling. Havelock Islands is also home to some gorgeous coral reefs. In recent years, this place has become a hub for adventure activities such as scuba diving and snorkeling. 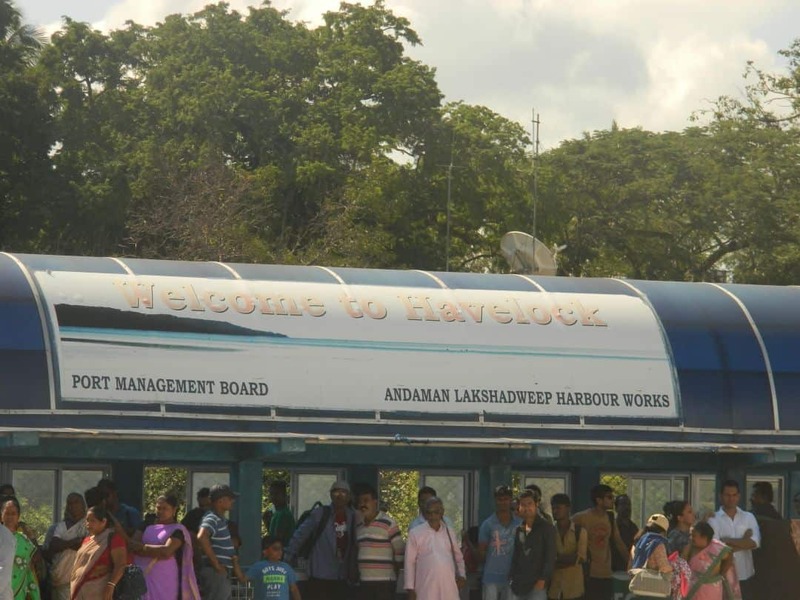 Havelock Island recently got a new name. It is now known as Swaraj Dweep. There is no dearth of eating places at Havelock Island. Once you have pursued scuba diving, sit back, relax and grab some good food. Maybe think about the beauty you have just witnessed. Do try out sea food if you don’t mind eating non-vegetarian. Savour different varieties of fish, crabs, lobsters that are freshly prepared in most eateries. 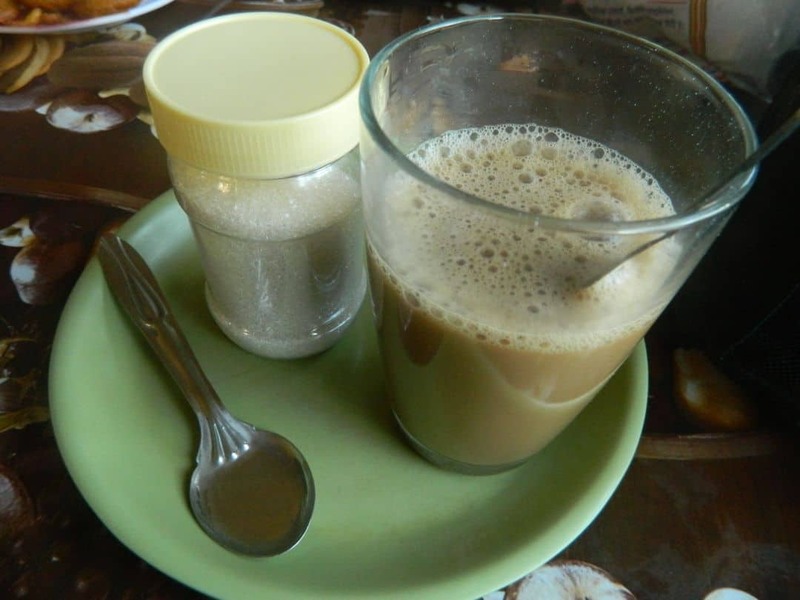 Let me share the names of some of the budget eating places at Havelock Island. Also, I will be listing out the speciality they offer in food. 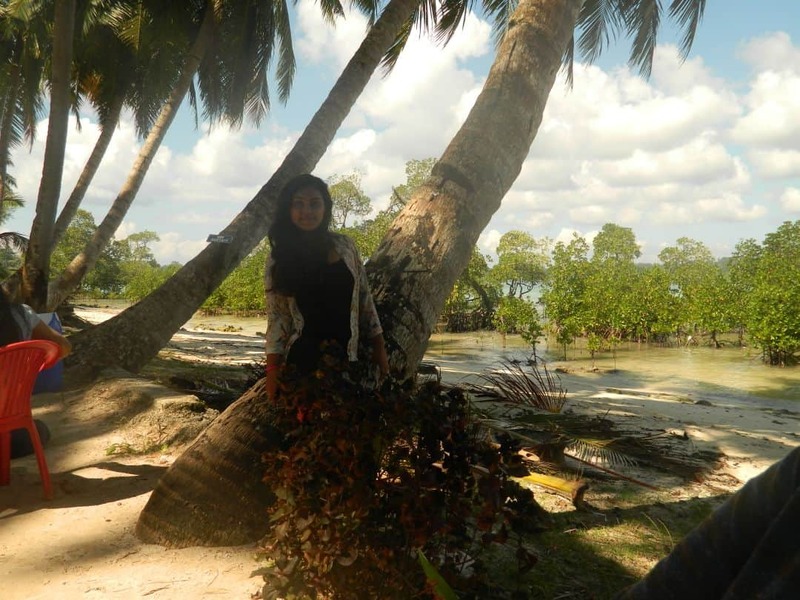 When I first visited Havelock Island, little did I knew that I will return back a changed woman. Pursuing scuba diving was one of the best decisions of my life. Not only did I overcome my fears but discovered the beautiful world under water. Going deep made me value life and our creation even more. If you’re one of those people who has been thinking of going scuba diving for a while, now is the time. Take the plunge and you will fall in love with it. 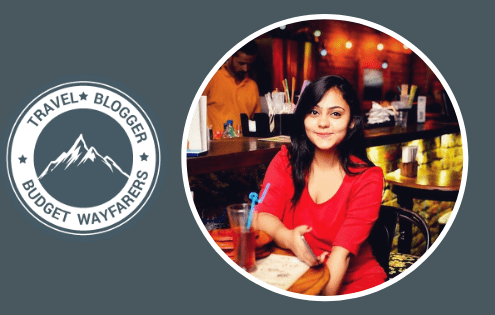 Aishwarya Deorane is an explorer who is passionate about travel and food. Hailing from the north Indian state of Uttar Pradesh and having roots from Dehradun, Aishwarya has pursued nutrition studies at Irwin College, University of Delhi. For Aishwarya, constructive gain of wild and crazy discoveries is all that matters. THIS POST ENTITLED ‘SCUBA DIVING AT HAVELOCK ISLAND FOR BEGINNERS AND NON-SWIMMERS’ IS AN EXCLUSIVE PROPERTY OF BUDGET WAYFARERS. ANY INDIVIDUAL OR ASSOCIATION INDULGING IN PLAGIARISM WILL BE DEALT WITH STRICTLY. IF YOU WANT TO USE INFORMATION FROM THE ARTICLE ABOVE, KINDLY QUOTE THE SOURCE.